Was this combo really available? The search pops up with this vehicle having a V6 and a manual transmission. Of course, there aren’t any pictures of the interior so I’d guess that it’s really an automatic. 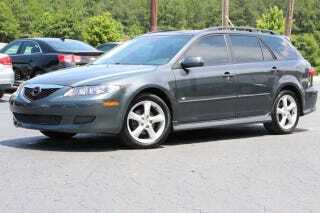 Have I said lately how much I love this generation of Mazda6? It doesn’t matter the bodystyle - they’re all pretty sharp.